Richard Pipes heaped scorn on those who romanticized Russian revolutionaries, whom he viewed as mere Bolshevik thugs who raised funds through a string of bank robberies and blackmail plots. Bernard Lewis had the intellectual courage to navigate the third rail of relations between the Islam and the West. Let us hope that those whom Professor Lewis enlightened will be equal to the task of defeating the ongoing challenge of what many see as the third totalitarian wave of religious triumphalism, just as Professor Pipes was equal to the task in combating Soviet totalitarianism. It is appropriate for all free men and women to honor two scholars who helped preserve Western Civilization from totalitarian aggression. Both became American by choice. Sadly, both, one British, one Polish, died this May. 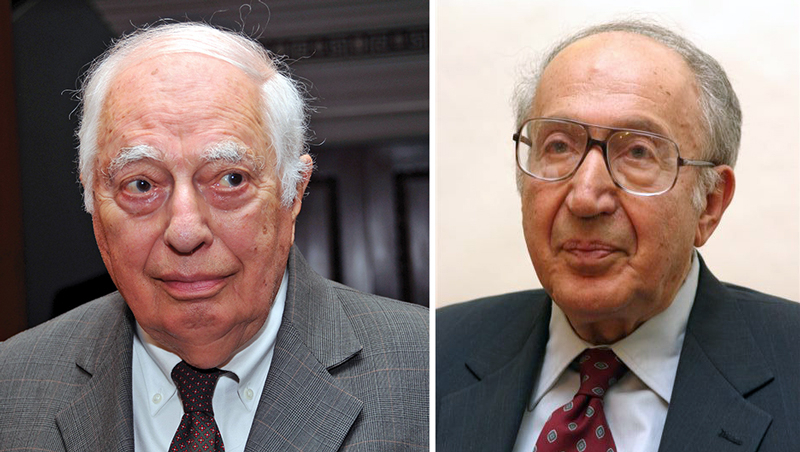 Bernard Lewis and Richard Pipes, both veterans of World War II, risked their lives against the modern world's first wave of authoritarianism, Nazi fascism. Their bold and far-sighted analyses of new threats to liberty were driven by the totalitarian ideologies of Soviet Communism and Islamic triumphalism, and received the expected condemnation from acolytes of these enfolding systems. Richard Pipes, prominent Harvard academic, testified to the barren ideology of Marxist-Leninism by boldly calling the October Revolution of November 7, 1917, a classic coup d'état executed by the Bolsheviks. He argued that the Bolsheviks acquired popularity through deceptive promises of bread to urban workers, peace to soldiers and land to peasants. Professor Pipes's counsel about the Russian threat to the Free World made him a despised figure among some of his liberal colleagues, some of whom welcomed the Soviet Union's apparent embrace of Marxist principles. Pipes, however, a Pole and a Jew, was probably sensitive to Russia's historical penchant for expansion. Because of Russia's acquisitiveness, Poland, more than once, disappeared from the map of Europe. Countless Jews were victims of Russia's pogroms over the centuries. Pipes also cut through pious cant lauding the Soviet Union's socialist experiment. Rather, he firmly asserted the affinities between the Union of Soviet Socialist Republics (USSR) and Tsarist Russia's authoritarianism. Pipes did not merely base his analysis of Soviet Communism on his own scholarship; he referenced eminent Russian philosophers such as Nicolas Berdiaev, who proffered his own judgment of the Bolshevik Revolution: "All of the past is repeating itself and acts only behind new masks." Pipes further leveled his academic guns at the true essence of the Bolshevik Revolution by enumerating unpleasant characteristics common to both Tsarist and Soviet Russia. These included a penchant for autocracy, the absence of private property, the state control of information, and the lack of individual human rights. Pipes heaped scorn on those who romanticized Russian revolutionaries, whom he viewed as mere Bolshevik thugs who raised funds through a string of bank robberies and blackmail plots. Still another of Pipes's insights was his excoriation of Lenin as the monster that made possible the super-monster Stalin. Lenin, wrote Pipes, initiated the "Red Terror" campaign as early as December 1917, and he personally ordered the murder of Tsar Nicholas II and his entire family. Pipes, like the Russian novelist Aleksandr Solzhenitsyn, observed that Lenin helped to ensure the arrival of the modern totalitarian terror state. Both Pipes and Solzhenitsyn cite Lenin's creation of the CHEKA, the Russian acronym for the Soviet secret police, giving this Russian Gestapo-like organ license to kill. To his adopted nation, Pipes gave warning that the Soviet Union intended to envelop the globe, and that it might succeed if the West failed to mobilize all of its resources. Pipes, along with a small band of scholar-patriots, helped President Ronald Reagan to challenge the Soviet Union's aggressive policies. Reagan countered the Soviet Union's attempts to expand its influence in Africa, particularly in Angola and Mozambique. Reagan also targeted Moscow's efforts to gain more footholds in the Third World when the USSR, in cooperation with Cuba, sent advisors and troops to Nicaragua and established a pro-Soviet regime on the Caribbean island of Grenada. Recognizing that the Soviet appetite was insatiable, Pipes outlined a strategy targeting the vulnerabilities of the "evil empire" which included: the Kremlin's weakening economy, the rise of nationalist sentiment within the USSR, the corruption rife within of the state's bureaucracy and the ossification of its Communist Party leadership. Bernard Lewis, the other intellectual great, had an influence on public policy in the Middle East matched by no other contemporary scholar. He, more than many others, was prepared to respond to the post- 9/11 questions of most Americans. Professor Lewis' post 9/11 lectures and policy advice to American leaders addressed questions such as: Why do they hate us so? What is Al-Qaeda? Who is Osama bin Laden? Where will this lead? When will it end? Lewis, after a lifetime of gathering insights on Islam, the Arab world, and the Middle East was always eager to inform the public. This Princeton professor was no Islam-basher: he extensively praised Islam's creative achievements in art and science during its "Golden Age," the few centuries before Europe's Renaissance. At the same time, he did not shy away from condemning the evils that Islamic caliphates meted out to non-Arab and non-Muslim peoples under their imperial control including devshirme -- the levy of boys from among the Christian population for recruitment into the Ottoman Army and state service. According to Michael Doran, one of Lewis' most brilliant students, the Princeton Professor's assertion that Osama Bin Laden's interpretation of Islam was authentically tied to the Islamic faith and scripture, invited the fury of Islamic critics. Professor Lewis also leveled a biting critique towards the Ottoman dynasty's Islamic empire, particularly the period in which the caliphate had begun to lose ground to West European societies as well as to Europe's achievements in experiment and invention. Lewis criticized the arrogance of Islamic rulers who for centuries held the lands of Europe in contempt as weak in warfare and bereft of creative cultural achievement. Lewis noted that Muslims viewed the people to the west and north as barbarians and infidels. He also criticized Muslim elites for seeking scapegoats for the loss of their once premier status by blaming the barbarian Mongol invasions in the 13th century, then European Imperialism in the 19th and 20th centuries. In addition, of course, there were always the Jews to blame. The unwillingness of Muslim societies to accept any responsibility for their global decline helped to produce a posture of victimization, a sentiment which seems prevalent at least among Palestinian Arabs today. It may be difficult for Islamic political and religious leaders to accept any setbacks in light of Allah's will as defined in Koranic scripture that Islam is destined to win the world for Allah. Consequently, Lewis posed the rhetorical question on the lips of incredulous Muslims of "Who Did This to Us?" rather than "What Went Wrong?". And setbacks for the Islamic world there were. Lewis outlines the two failed attempts in 1529 and 1683 by the Muslim Turks to capture Vienna, the capital of the Catholic Hapsburg Dynasty of the Austro-Hungarian Empire. After the second abortive attempt in 1683, the Ottoman Turks' drive west lost several battles and petered out. Soon the Turks were forced to deal with the West on equal diplomatic terms for the first time, as they met with Hapsburg negotiators in Carlowitz in October, 1698. Lewis catalogued several of the particulars leading to the downturn in Islam's fortunes, including: the Ottoman Turks' failure to keep pace with the West in technological innovation, including in weaponry; the West's employment of new transoceanic trade routes; the recovery of East European identity in the face of the Ottoman Empire which occupied much of it for centuries; the reduction in vibrancy of the Turkish elite as well as declining population in Turkey, and the rise of Russian power which competed with the Ottomans for supremacy in the Black Sea region. Perhaps the most controversial of Bernard Lewis's insights concerns his scholarly commentary in the theological realm, such as his bold analysis in defining the aggressive nature of Jihad and asserting that the Crusades were a response to the predatory behavior by some Muslims against Christian pilgrims, rather than an initiative by the West against Islam. His writings on these topics attracted the criticism of some academics. Lewis had the intellectual courage to navigate the third rail of relations between the Islam and the West. Lewis claimed that Islamic world was unable to contend with new strengths of the West, such as the continued vibrancy of Christianity; the Islamic world's realization that it no longer could treat world Jewry an object of contemptible weakness; the State of Israel, and the European continent's post-Christian materialist world of Secularism and Modernization, as new assaults on the Islamic faith. Lewis underscored the depths of Muslim anger at the power of the West's liberalizing message which had invaded the Muslim's family life, upsetting even the traditional roles played by a husband and wife in marriage. Finally and ominously, Lewis predicted an ultimate cataclysmic clash between Christianity and Islam: both religions are global; both continue their expanding realms, and both have universal aspirations. "A Concise History of the Russian Revolution" by Richard Pipes. Alfred Knopf: New York, 1995. P. 391. "A Concise History of the Russian Revolution" by Richard Pipes. Alfred Knopf: New York, 1995. P. 396. "A Concise History of the Russian Revolution." P. 173. "What Went Wrong? – Western Impact and Middle Eastern Response by Bernard Lewis. Oxford University Press: New York, 2002. p.6. The Middle East by Bernard Lewis: A Brief History of the Last 2,000 Years." by Bernard Lewis. Simon and Schuster: New York, 1995. p. 109. "What Went Wrong?" by Bernard Lewis. p. 20. "What Went Wrong? – Western Impact and Middle Eastern Response by Bernard Lewis. p.3. The Holy Koran, Chapter 9 Verse 30. "Islam Will Triumph in the World." Edited by Maulana Muhammad Ali. Lahore and Ohio. 2002. p. 404. "What Went Wrong? – Western Impact and Middle Eastern Response by Bernard Lewis. p.152. "What Went Wrong? – Western Impact and Middle Eastern Response," by Bernard Lewis. p. 17. "The Middle East: A Brief History of the Last 2,000 Years." by Bernard Lewis. p. 115. Ibid. p. 7 and p.15. "From Babel to Dragomans: Interpreting the Middle East" by Bernard Lewis Oxford University Press: New York, 2004. p. 329. "From Babel to Dragomans: Interpreting the Middle East" by Bernard Lewis. p. 320. Both men were scholars of the first rank in erudition. Lewis is particularly useful for his revelations regarding the Arab record on slavery and "race", Pipes for putting into better perspective the problematic attraction that communism had for Jews in the early 20th century. Today Islamism has replaced Marxism-Leninism as a major danger to - AND WITHIN - western nations, and more difficult to deal with because of the help being given to it ironically by the remnants of communism in the "equality and diversity" racket. Thank you for this enlightening article. One seriously wonders how these two men survived the swamps of academia. Wonderful summary of the thinking of these the important contempoary historians. One minor but disturbing error by Dr Franklin: Dr Pipes and all other Polish Jews are never referred to as Poles. 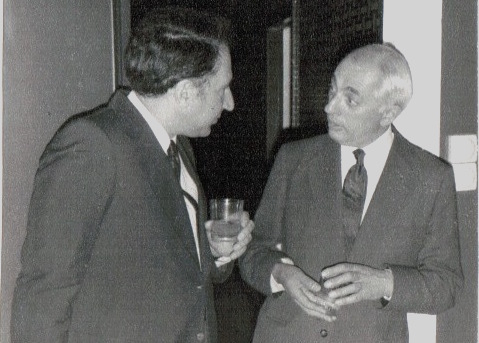 At a time when the threat from The Great Religion of Peace is so acute, the death of Bernard Lewis is a severe loss. Lewis was right in saying that many Muslims continue to ask - and to wallow in - the illusory question, "Who did this to us? ", instead of doing what countries like Japan and Germany did after World War II. 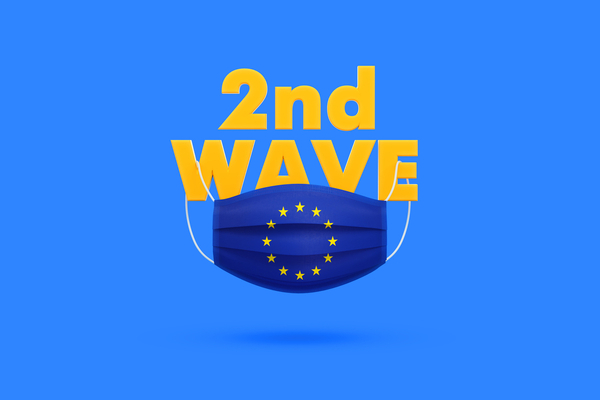 Out of the utter, horrific devastation of that war, those two countries built societies that function almost miraculously well, in economic and political terms. Japan and Germany had, in a sense, to start at zero after 1945, at time when most Muslim countries were already at 3 or 4 on a scale of 10. And while Muslim countries were stuck at that position, vainly wondering "Who did this to us? ", Japan and Germany roared past them with grit and determination and, yes, with outside help. That same help, though, has been offered to Muslim countries that need it - while other Muslim countries like Saudi Arabia and Iran are rich in resources and require no outside help. Yes, always finding and believing excuses. As B Lewis has said, the political status of Islam and the social organization related to power hierarchies contribute to the stuck position. Also the world powers have never let Moslems [other than the Turks] really lose a war--- even in situations where they behave like Nazis and komikazis. The world excuses them and enables the blaming behavior. As an example of excuse-finding and blaming on the child level, last Thurs, I again asked the same little girl often hawking Arabic knit bags on Emek Rafeaim in Jerusalem, "why are you not in school? ", she again was able to fabricate an [obviously false] answer with split-second timimg.